Interneer is a leader in Business Process Management (BPM) software and Smart Mobile Apps for the enterprise. 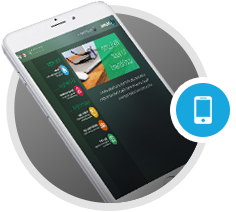 We enable our customers to build and manage web and mobile business apps that automate and mobilize a wide variety of business processes. Our headquarters are located in Los Angeles, California, and we continue to expand globally. We offer competitive salaries and benefits, and offer a high-energy and entrepreneurial environment with lots of room for personal and professional growth.